The best contact method for me is without a doubt email, as I deal with quite a lot of work at peak times and good old Outlook keeps it organised and traceable for me. If you contact me via my Facebook page, I will probably just ask you to email me as it’s a nightmare to keep track of everything on there. Due to my remote seaside location, mobile signal is non-existent where I live, particularly at my workshop. I tend to leave my phone somewhere with signal so I can see missed calls and voicemail. Please don’t be offended if I don’t pick up, and leave me a text or voicemail. I will ring you back, promise! Having done this for a long time now, I normally get it spot on, but all quotes are approximate. 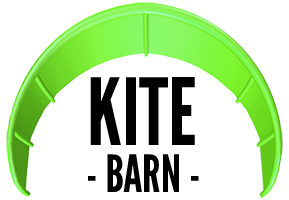 All kites are built differently and manufacturing techniques are constantly changing. Sometimes it can be difficult to tell from photos exactly how much damage there is and how much time I will need to unpick and rebuild, what materials I will need to use. If the quote is going to vary wildly from the final price, I will contact you before I carry out the work. Unless I am extremely busy, for straight forward repair work which doesn’t require sourcing parts, I aim to get it shipped back to you within 2 days of receiving your equipment. I will normally give you a lead time when you send me your gear. I have a large stock of repair materials and bladder parts, but occasionally I will have to order something specific in (usually less common valves, new bladders, strange pulleys, line material) from my suppliers or kite manufacturers which can delay proceedings. At this stage I usually do any prep so when the parts do arrive I can fit them as quickly as possible. Faulty bladders can be fickle things, and can take a little longer. Decent adhesives take a while to cure properly and often require repeated testing to ensure correct seating and no leaks. If at any point the cost of the repair outweighs sourcing and fitting a new one I will let you know. If you are going off on a kite holiday, have a competition looming or have any other special time requirements, let me know and I can prioritise it. If your kite arrives clean and dry it gives me a decent head start. I understand not everyone has space to do this, so if it’s wet and sandy don’t worry too much, but add a day for me to dry it out and give it a shake! Sewing machines don’t like sand. Packaging wise, ideally leave the kite in its bag and pop it in a cardboard box. Pop your name, return address, email and phone number on a bit of paper in the box. If you are sending a bar system, bung some bubble wrap round it to protect it. If there are many small tears on the kite, help me out my marking them with some bright coloured tape (electrical tape is good) I light test the canopy material anyway, but all help is appreciated! I dislike chasing people for money, so unless you are in the trade, I know you personally, or have dealt with you before I need to take payment before I ship the kite back to you. You can pay by BACS or PayPal (as a gift so they don’t pinch any). I am VAT registered, so if you need a full invoice give me a shout. Due to my remote location, I use Parcelforce to send kites back to clients. I have been through most of the courier companies over the years, and they have been the most reliable in my experience. Unless otherwise specified by the client, I add £200 of cover for lost or destroyed parcels. If you want to add any more insurance cover let me know and I can add it on at an additional cost. Shipping costs fluctuate, I normally add return shipping to your quote. In almost a decade of sewing now I have never had a complaint, and aim to keep it that way. With bladders I cannot be responsible for any twisting or damage that occurs after the kite has been flown. I inflate and test the kites at least twice in my workshop before they are sent back to ensure proper seating and fitting. Short of test flying your kite, this is as much as I can do! In some cases, the (sometimes poor) design of specific models make them prone to this and it’s up to the owner to ensure everything sits properly in the long term, especially when inflating. If you have a problem let me know promptly and I will do my best to resolve it. Kitesurfing is an extreme sport with many variables in both conditions and equipment which can lead to dangerous situations, and I cannot be held liable for any injury, loss or damages which may occur as a result of using equipment which I have repaired. I test equipment rigorously and do my upmost to ensure I return equipment 100%, but the nature of the sports means material can sometimes fail for no apparent reason. By using my repair service you understand that this is not my responsibility in any way, shape or form.